Beyond the regular neighbourhood trick-or-treating, here are a few ideas for getting more mileage out of that Halloween costume this week! Attend one of the Singing with Sylvia's Halloween Howl concerts at The Refinery, Oct. 29-31. Check out one of the Halloween story times and puppet shows through the Saskatoon Public Library on Oct. 29, 30 and 31. See Smurfs 2 at Movies for Mommies on Thursday, Oct. 31. Dress your baby and yourself in costume and be entered to win prizes and enjoy a free photo shoot and 5X7 of your baby's first Halloween beginning at 12:30 p.m.
Organize a "reverse trick-or-treating" outing at a nursing home or senior centre. The seniors would absolutely love a visit and goodie bag from your dressed up cuties! Bring your used jack-o-lantern to Rotary Park between 6 and 8 p.m. on Friday, Nov. 1, for Pumpkins in the Park. 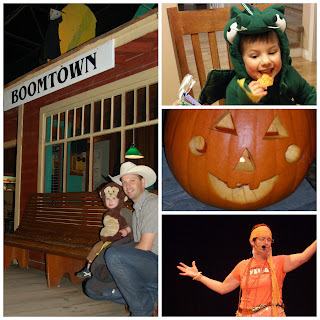 What other ways do you celebrate Halloween week with your family?